The desk top/office phone is going the way of the eight-track, VCR, tapes, CDs, fax machines and many other older technologies being replaced by smartphones and social media. 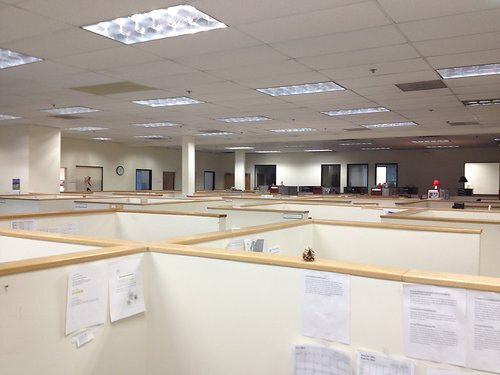 Inside sales organizations are ghost towns these days with the only sound being the pitter patter of little fingers typing away on keyboards. More and more executives are coming to me expressing their frustration that they never hear reps on the phone any more. Regardless of the results of the team or how effectively they are applying “social selling” (whatever that means to you) to produce those results, it’s becoming a point of contention with managers who are just sick of walking through their offices and not hearing any activity. Most sales executives today grew up in the bullpen days where all we had was a phone and a printed out spreadsheet or even better, the Yellow Pages. You had to make more calls and be louder than your cube-mate to stand out and get ahead (think Boiler Room or Pursuit of Happyness). So these days of silence just don’t feel right regardless. The lack of calling is somewhat justified since it seems like most people rarely pick up the phone anymore and the response rates from voice mails average in the .02% range. The younger generation even admits they think an unannounced call is an interruption and rude. This perception coupled with the low response makes the avoidance of the phone understandable, but it doesn’t make it right. Professor Albert Mehrabian’s communications model helps us understand why. A general overview of his findings breaks down how people communicate as 7% words, 38% paralinguistic (the way that the words are said) and 55% facial expression or body language. Or, to translate that into sales – 100% of the way we communicate is achieved through in-person meetings, 45% is achieved over the phone and only 7% is e-mail. Those statistics help show why our sales efforts can be so much more effective if we can get someone on the phone, even for just a few minutes, instead of going back and forth over e-mail. We’re a rather sarcastic group here in Boston. Have you ever tried to put sarcasm into an e-mail? How’d that work out for you? Over the phone you can at least hear that sarcasm or recover from it if someone doesn’t get it. You can develop rapport and help build relationships over the phone. You’re a person and not just some text on a digital screen that can get deleted or dumped into a spam filter. You can qualify much more effectively and quickly over the phone than you can over e-mail. And by the way, like it or not, the decision makers in today’s world grew up before all this social media and even e-mail. I’m “only” 37 and I can still remember going to college and having just a few computer rooms on campus that you had to wait in line to get in to use a dirt slow desktop computer with limited search functionality. E-mail is obviously the number one way of communicating in business today but in my opinion it should really only be used for two reasons: 1) as part of a contact strategy to set up phone calls/meetings and 2) to follow up from phone calls/meeting. E-mail should not be used as a form of conversation or a qualification method. With that, our initial e-mails to prospects should be short, sweet and to the point (think 2 scrolls on your smartphone), add value and have a strong call to action. They should be coupled with effective phone calls as part of our overall contact strategy. Everything we do through e-mail should be to drive that call/conversation. Have fun with it. We’re not curing cancer here. 46% percent of the executives in the survey stated that they had increased their investment in social technologies in 2012 and 62% stated that they will increase their social business investments in the next three years. Social business transforms the way organizations communicate by using interactive engagement models with customers, employees, and suppliers. To better understand the opportunities, challenges and risks of weaving social business into the organizational fabric, and to provide a path to progress for organizations looking to capitalize on its benefits, the IBM Institute for Business Value (IBV) surveyed more than 1,100 executives and conducted 26 in-depth interviews with widely recognized social business leaders. 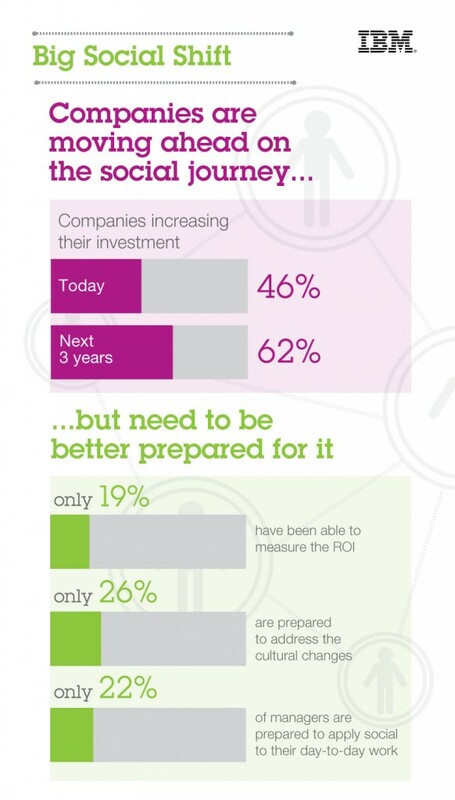 The study found that most companies today largely use social business in marketing and public relations. However, the use of social technologies and approaches is expected to rapidly extend into a wide range of front-office business processes, in particular customer service, sales and internal communications. Leading companies are increasingly incorporating social technologies into their processes to increase revenue, attract talent and share knowledge across and beyond the boundaries of the organization. As today’s consumers become ever more technology enabled, failure to communicate with them through the media they prefer can create an engagement gap difficult to overcome. C-level executives recognize this, which is why, in two recent IBM C-Suite studies, the 2012 Global Chief Executive Officer Study and the 2011 Global Chief Marketing Officer Study, senior executives expressed a strong desire to use social tools to understand customers and create experiences that attract and retain them. Leading organizations, such as American Express, are focusing their social business resources in three areas: listening to and engaging with customers, building communities to share information and insight and creating better sales and support experiences. Applying social business technologies within a company and its surrounding value chain can substantially improve visibility of knowledge, finding and building expertise, and collaborating with partners and suppliers. This use of social technologies spans most industries, including, among others: automotive, banking, insurance, manufacturing, retail, and increasingly, government. Organizations such as TD Bank, CEMEX and Boston Children’s Hospital are finding innovative ways of collaborating inside and outside the organization to improve productivity and reduce time-to-competence. Social technologies have made it significantly easier to raise the visibility of new ideas, regardless of their source, allowing companies to acquire new ideas from almost anyone who touches their organization. Companies such as LEGO Group and Beiersdorf are finding new ways of reaching out to their entire ecosystem to come up with new ideas that have a direct impact on their business. Social technologies also enable organizations to host structured innovation efforts like Jams and Hack Days as well as tap into collaboration arising from day-to-day work. The IBV study details how some organizations are implementing these approaches to accelerate innovation in their firms. Purposeful deployment of social technologies is integral to organizations realizing business value from their social business investments. Social business is a disruptive and transformative approach that can yield measurable returns when applied to specific business outcomes. Yet, this study uncovered the fact that only about 20 percent of organizations can identify key performance indicators and track ROI on social business projects. Organizations also need to understand and mange the risks associated with employing social technologies to become more interactive with and transparent to customers, suppliers and employees. The report noted that organizations need to implement change management practices if they are to deploy successfully social technologies. Successful social sellers are designing interactions (“conversations”) in ways that solve customers’ problems. In fact, they always have and so have most of us (before social media arrived). This approach makes it easy to help customers guide themselves toward products and services they really, truly need. How do we know this? It’s been this way since the beginning. “Social behavior in humans is as old as our species, so the emergence of an Internet based on social behavior is simply our rudimentary technology catching up with offline life,” says Paul Adams, Facebook’s Global Brand Experience Manager. Solving customers problems has always been a successful way to produce awareness, interest, desire, and purchase behavior. Providing answers to customers’ questions remains the best way to effectively coax or nurture customers toward making a purchase. Social media is inherently interactive, making this process even easier to accomplish. The key is using this familiar process, not figuring out what time of the week earns more Twitter re-tweets (or other nonsensical yet popular recommendations we often hear). Make social media sell: here’s how | Econsultancy. What do you think? Are you using this approach already? How is it working for you? We are all in business to sell something, whether its a service or a product. But buying is different and this changes everything! Customers have too much information, but not enough fact to act upon. These days Clients have more choice than ever before, with information available through varied and diverse channels. Buyers are no longer relying on the sales person for information. Instead 70 percent are looking for information online before making a decision or purchase. A recent study “The Future of Selling” from Ogilvy, says that although sales people agree with the above, they feel that the customer is not getting the right kind of information about your products and services. This new way of gathering information is affecting the seller in a huge way. In Ogilvy’s study, nearly 50 percent of sellers (1100 interviewed) agreed that social media helps them sell. 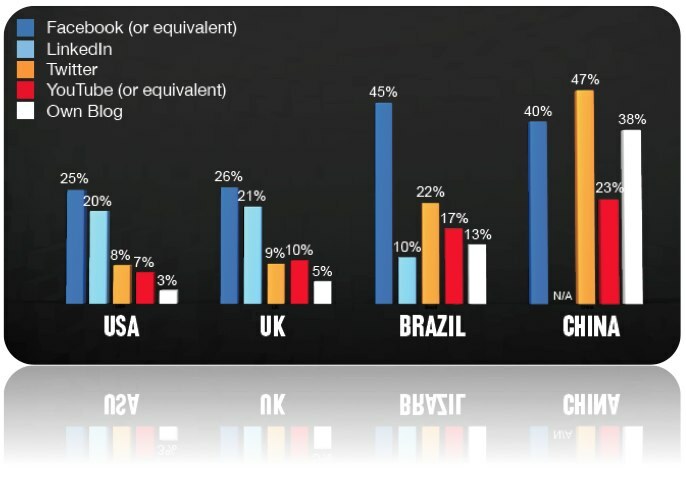 The biggest influence was seen in China at 73 percent, Brazil 65 percent UK 33 percent and USA 27 percent. 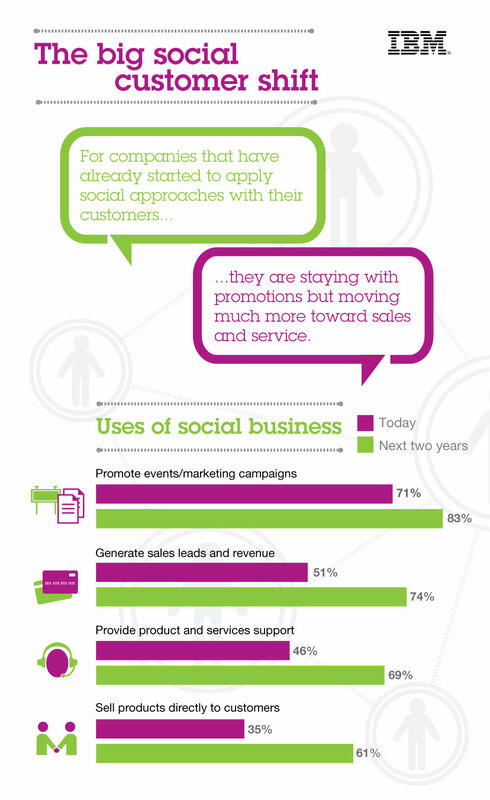 Top performing sales people are adopting social media technologies to drive their success in sales. Using these tools they can help with personal branding, demonstrate their value faster, reduce the “time to trust” factor and best of all help (unconditionally). It is also worth noting that sales organisations recognise that the buying process is changing faster than their organisations are responding, with many companies blocking employees from using social media. When companies do allow use, there is lack of education about how to use with many employees wishing their companies would offer more help. The world is changing at an astonishing rate and as such the role of a salesperson will be completely different in five years. The link between the Marketing Department and Sales Department is becoming inextricable. Individuals, regardless of role i.e. 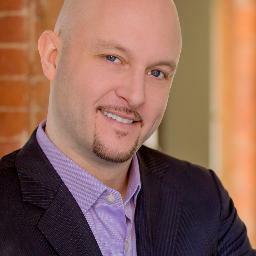 sales, technical or operations are also becoming marketers of their personal branding. Peoples skills and expertise will be easier to locate at the touch of a button. We all have information that someone is looking for, whether its in your head, on your hard drive or in your email. Get it out there, put it on YouTube, write a blog, use Twitter or collaborate from within your company, engage in conversations, be helpful, try to solve problems versus just selling your solution. 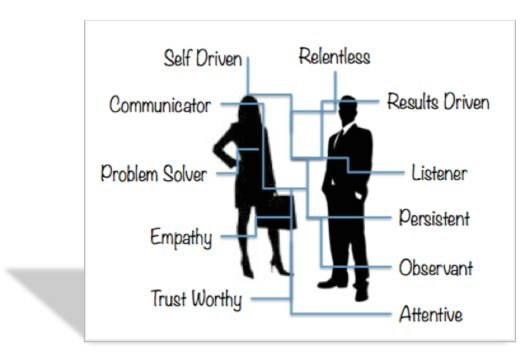 Another question to ask yourself is: Does your boss know your skills? Check “your” brand, Google yourself. Create content to fall in the path of the digital buyer. Get marketing and sales on the same page. Build your network with people you know well and others who you don’t know that well but essentially build your network. If you would like any advice please feel free to contact me.